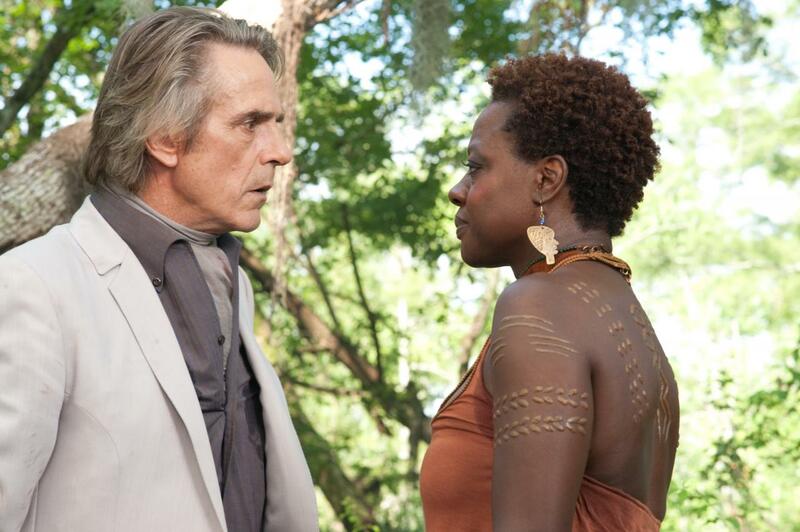 Viola Davis gives us insight to her character, Amma, as she talks about how she used her South Carolina roots to enrich her role, her thoughts on reincarnation, working with the young stars Alden Ehrenreich and Alice Englert, as well as working with veteran actor Jeremy Irons. Why was this attractive to you? Why did you want to be in this movie? 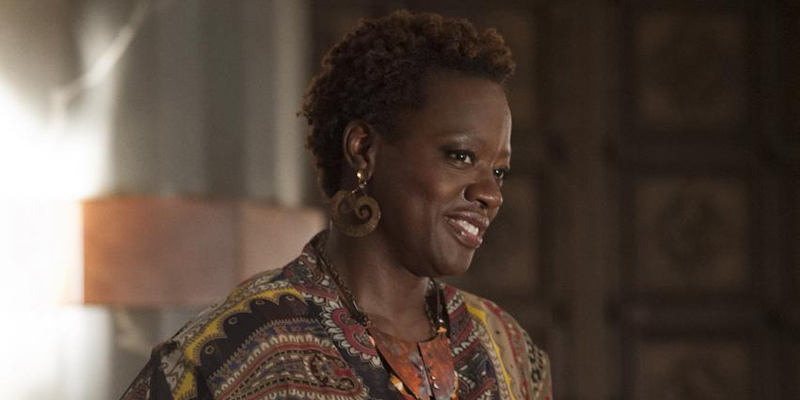 VIOLA DAVIS: It was attractive to me because, at first, I thought that she was just a regular woman, and then you peeled away the scars, and her being the keeper of this library, and her being able to channel spirits, and I liked that depth of character without beating someone over the head with it. It was that mysterious part of her. I like creating a rich inner life of a character because I sometimes feel like everybody wants to see everything played out on screen, in a way that’s very dramatic. I like an interesting inner life. I think it’s harder to play. I think it’s more challenging. That was the case with Amma. I loved it. Was it liberating not to have to wear a wig for this character? DAVIS: Yes, absolutely! The other day, I had to do a video thing and because I’m wearing my hair in this movie I’m doing now (Prisoners), I got a color job that fried my hair, so I was letting it rest. I braided it and put on a wig, for the first time in awhile, and I was like, “Ah!” Listen, I love my wigs. My daughter goes to my drawer and says, “Mommy, you wanna wear your wig?” But suddenly, it felt odd, in a way. Suddenly, it felt like I wasn’t being who I was. I’m still going to wear my wig, but I just think it’s interesting, at this time period, for me to just use it as an enhancement and not a crutch. That’s as much as I can say about it. You’ve played a lot of historic roles, and you play a Seer in this film. How do you feel, personally, about past lives? DAVIS: I used to totally believe in it. I remember, when I was young, I saw The Reincarnation of Peter Proud with Michael Sarrazin, and I was like, “Oh, my god!” There was also the movie with Anthony Hopkins, Audrey Rose. I remember thinking, “Oh, my god, you could be here, and then another person from the past could come in.” Of course, I always made it evil like, “They could choke you to death in your sleep.” I was a kid, at the time. But now, it’s much more in the psychotherapy realm, in terms of the past and who your parents were, and passing on character traits, bad habits and good habits, and a good mind-set, whether it be self-esteem or confidence. For me, the past dictates your present. You become the person you are, based on what you know and what’s been passed on to you, in terms of character traits. Now that I’m of a certain age, that’s how I see it now. I don’t see it as so much me channeling the spirits of my ancestors, but channeling mind-sets. How much did being from South Carolina influence your character and inform your knowledge of the story? DAVIS: Well, I was born on the Singleton Plantation in St. Matthews, South Carolina. Literally, when you drive up, you drive down the long pathway and see the big house, then you drive further down and you see the one room church, and then you drive further down and that’s where you see the sharecropper’s hut, or the slave quarters, but the sharecroppers would live with the outhouse, and that’s where I was born. That was my grandmother’s house. So, for me, I had to imagine what we, African Americans, would be doing during the Civil War. I had a whole image of that, and a physical image of that. I just wondered, “Who were we, other than slaves?” I had a physical image and I understood the whole Gullah part of it. Amma spoke Gullah, and I wanted to go even further back than that because the movie is so much about the past, and Amma channels so many ancestors from the past. I’ve done a lot of research, in terms where we came from and where we landed, and the African slave trade and all that. 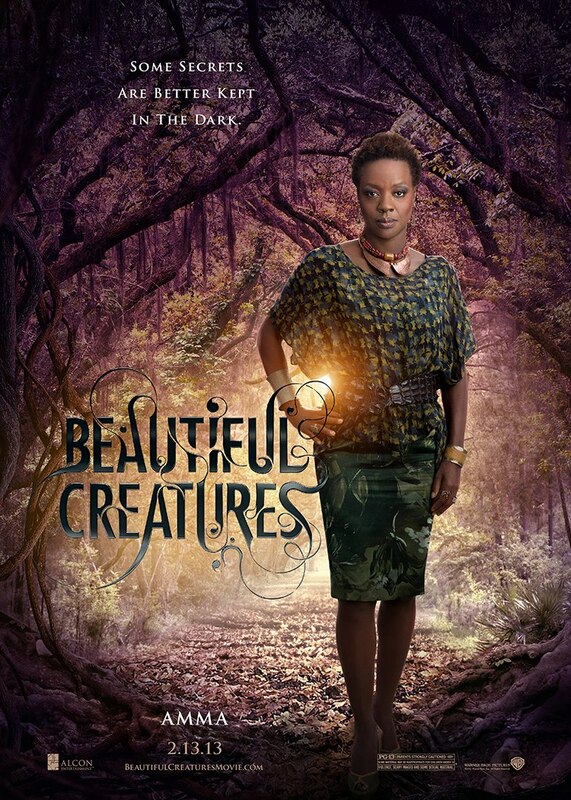 I thought it would be interesting if the characters I channeled came from the distant past, from Yoruba and Nigeria. I thought about where they could have landed and what their lives were like, once they got to the United States. I know about the plowed fields, the cotton and the pecan trees, so that helped shape her character. Even if you didn’t see so much of it, it informed me, in a way. How was it to work with the Alden Ehrenreich and Alice Englert on this? DAVIS: They were great! I love them! They are so confident. They are so unapologetic for who they are, which I was not at that age. I was an amoeba. I really was. I was so shy. I was too shy to even wear lipstick. That goes to show you where I was, in my life. And I love the fact that it’s a love story within this whole idea of feeling like their past dictates their future and that they have no say in it. And the fact that this young man finds this girl, even though she’s being ostracized, and he sees her. I think that’s how love happens. That’s how my husband fell in love with me. He just saw me, even through all my complaining and my bad credit. I love that about the love story. I love love. I love weddings. I’m probably going to have another one – my third – with the same husband. I think it happens very rarely, in a lifetime, that you fall in love and it’s real, and it’s a shame when it’s forgotten or lost. That’s how I feel. I love marriage, too. How was it to do the scenes you had with Jeremy Irons? DAVIS: Oh, they were great! He’s intense. But, I had the same feelings about him that I had about Meryl Streep. I felt like, “Oh, my god, I’m going to be working with Meryl Streep. She’s going to be telling all these stories about how she put the character together in Sophie’s Choice, and she’s going to be speaking in a really grand voice, and all the attention is going to be placed on her. It’s going to be all about her, but I don’t care because I love her. It’s Meryl Streep!” And she’s nothing like that. It’s the same thing with Jeremy Irons. He’s a total hippie. He’s this grand, talented man, and he counters it with great humility, and he’s very casual and loose. So, it was a joy to work with him in the swamps. You can read the full interview at Collider.